Schultz Electric helps and educate our customers to plan out their electrical/lighting needs to provide a comfortable living or work space. Maximizing lighting, air movement, and electrical devices..
We like to offer vatriety of packages to fullfill the lighting needs of your home or workspace. We have a strong working relationship with Southern California lighting specialist. 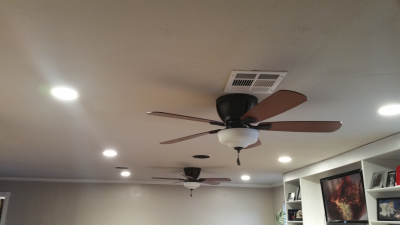 So we can offer any style of fixtures and ceiling fans to match existing or new decor. 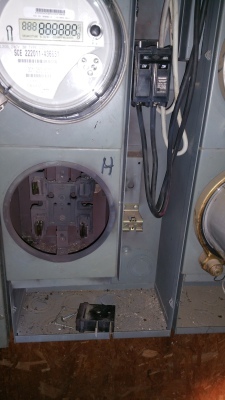 Schultz Electric handles a large amount of Service (panel) Upgrades, We like to educate our customers about the heart of thier homes and/or businesses. We offer residental single phase panel and sub panels, size ranges from 100 amps to 400 amp. We also offer commercial single and 3 phase panel and sub-panels, sizes are chosen for the customers to fit thier requirements or needs. 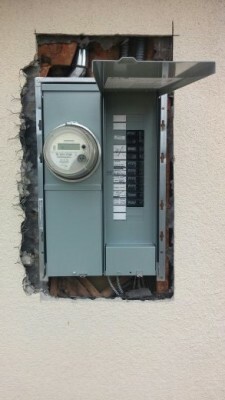 There are numerous reasons why wiring, devices, fixtures, and panels fail. Schultz Electric pin points the problem and figures a solution. Any time we run into these situations, we identify the problem and then help educate our customers of why, and how that specific item failed. In most cases we offer several different options to ensure that customers will not experience failure again. Sometimes troubleshooing takes a minute or several hours, we like to make sure we have a full detail of why something has failed. We are a firm believer that our customers should live in their homes, or maintain thier business with no hassle. 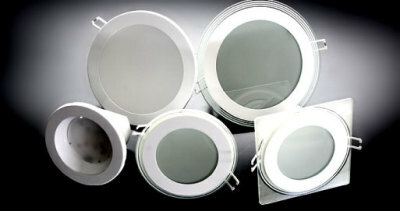 ​Schultz Electic offers a variety of different types of lighting. Whether it is indoor, outdoor, surface mount , ceiling mount, or a hanging fixture. We also have a variety of different types of bulbs to choose from. Selecting from incandesent bulbs, fluorescent bulbs, to LED. Schultz Electric offers the best lighting for both residental & commercial needs. Let us sort out your electrical needs! Your contact information will not be shared or sold to anyone. It's fully confidential.